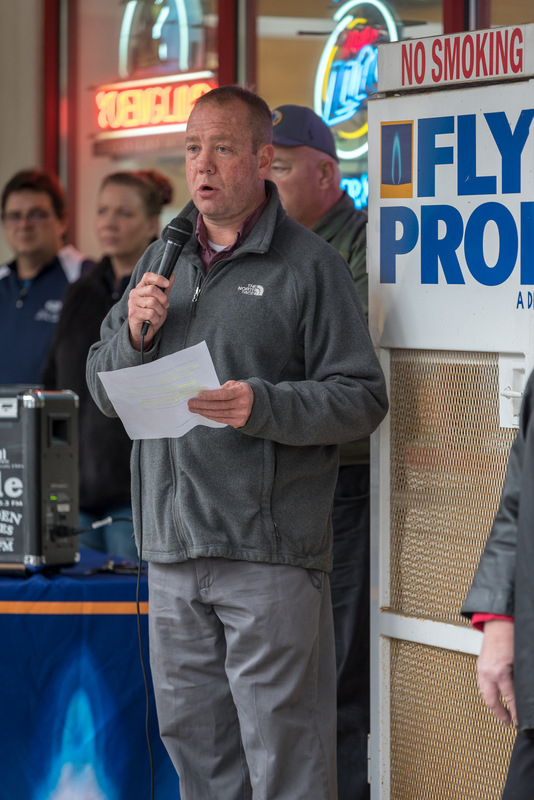 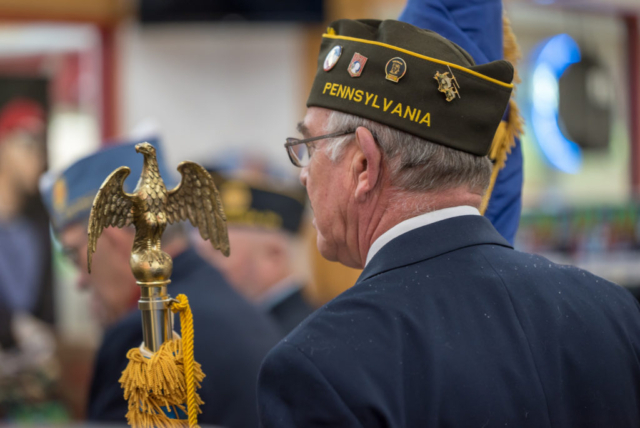 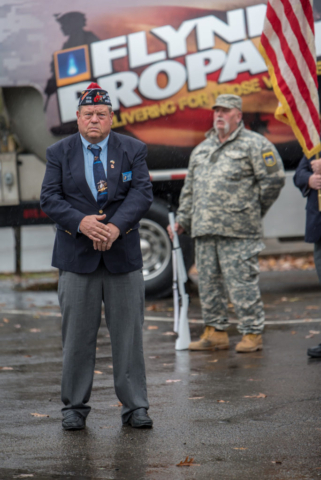 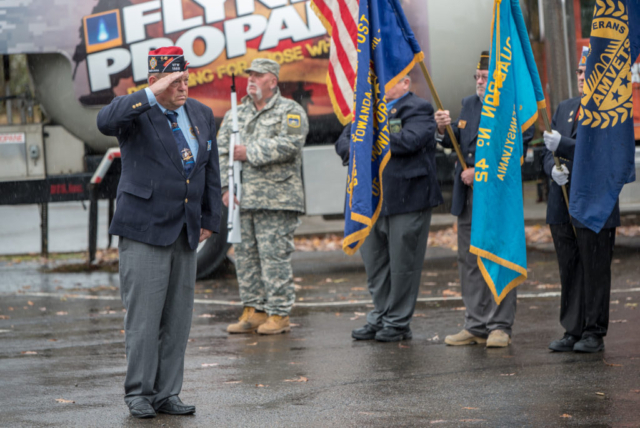 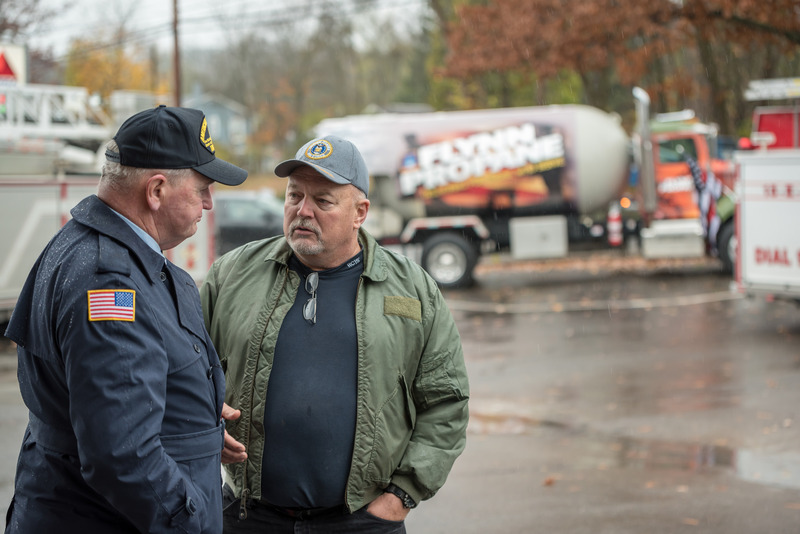 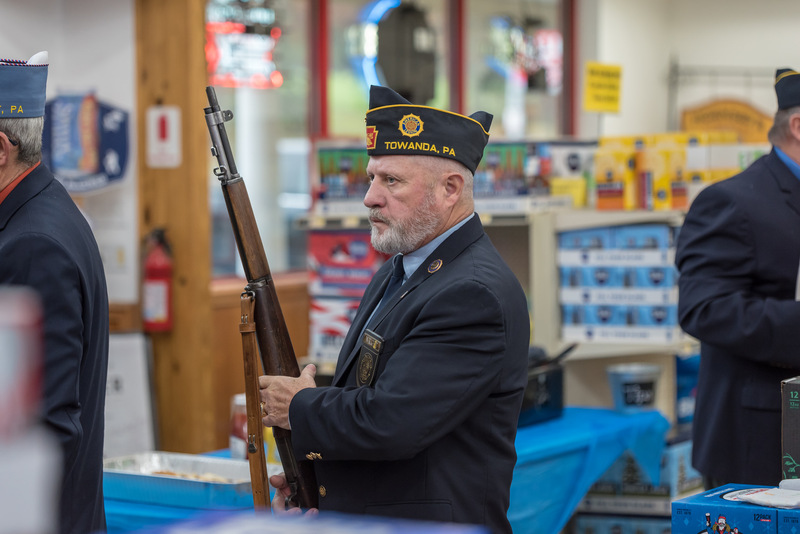 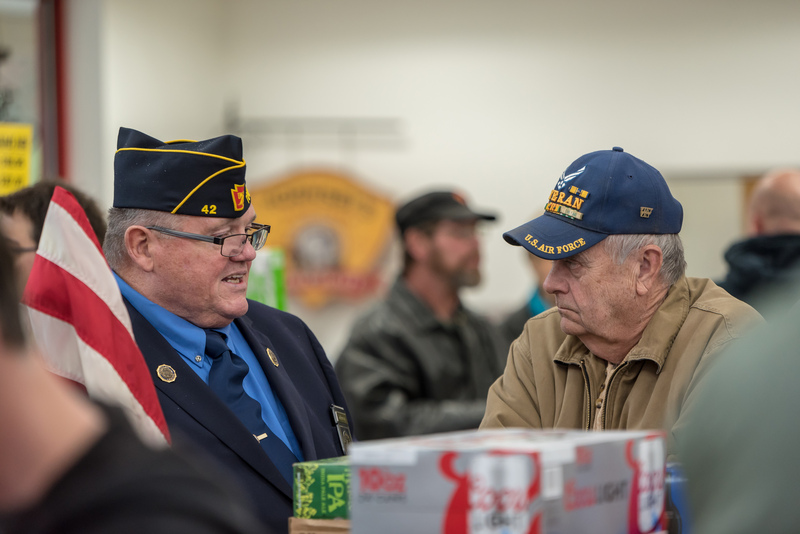 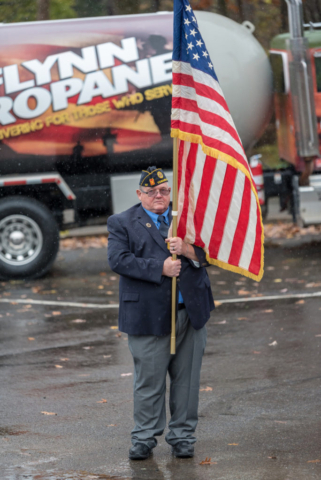 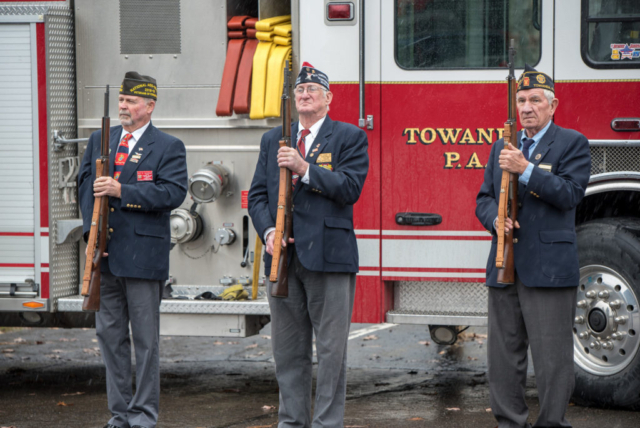 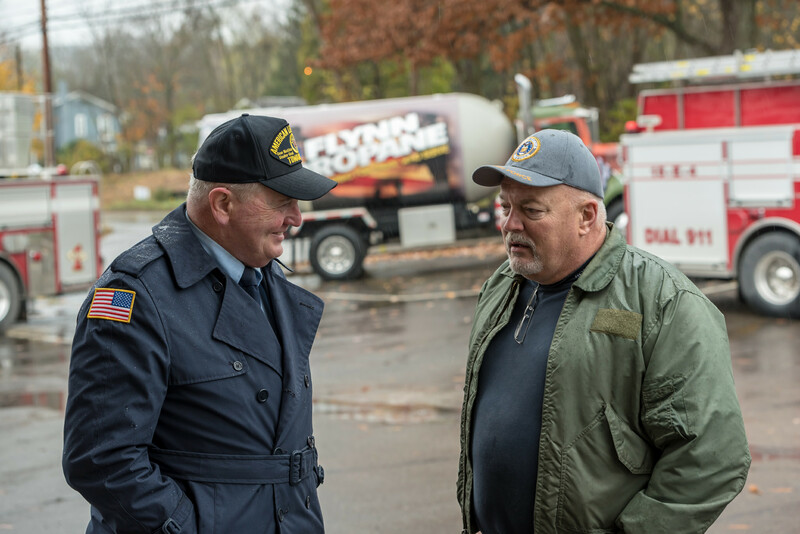 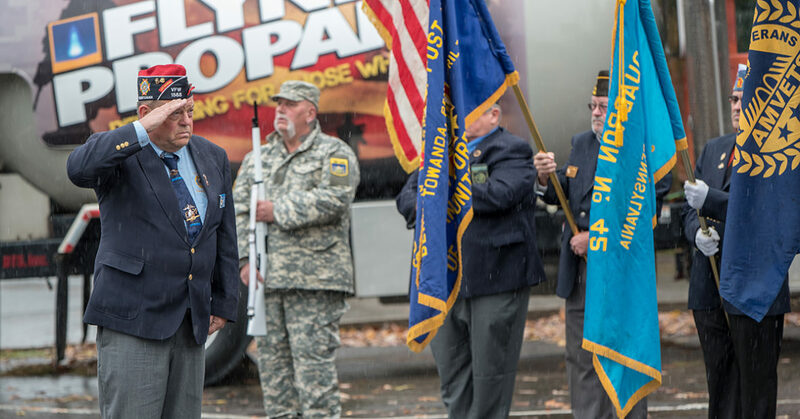 Towanda, PA (Nov. 9, 2018) — Wind, rain, and snow all made an appearance at Flynn Energy & Propane’s annual veterans appreciation event at Flynn Beverage on Friday. Thankfully, so did many local veterans and members of the public. Normally an outdoor event, dozens gathered inside Flynn Beverage to enjoy a hot dog served up by Flynn’s propane manger Shawn Sullivan and chili from Oliver’s Pub. 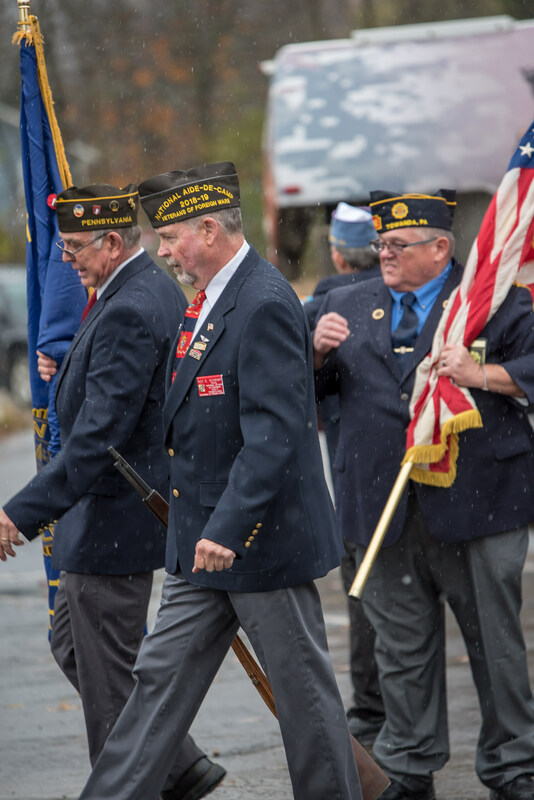 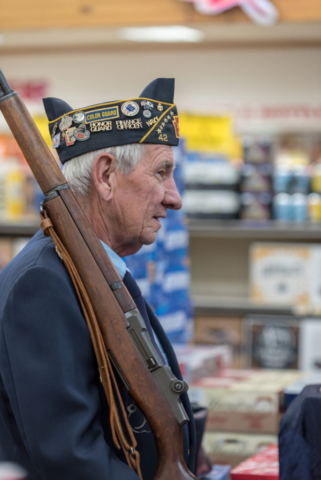 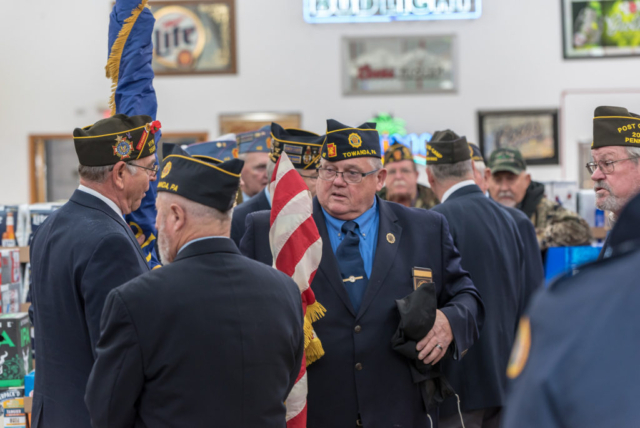 Highlights of the event included a 21 gun salute—performed proudly by local veterans—a short ceremony, and a reciting of the Pledge of Allegiance. 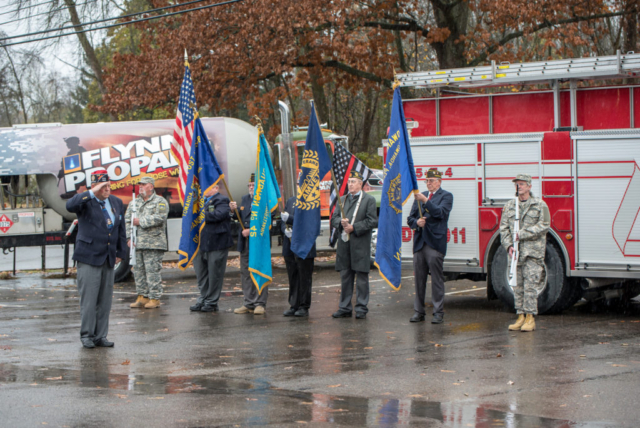 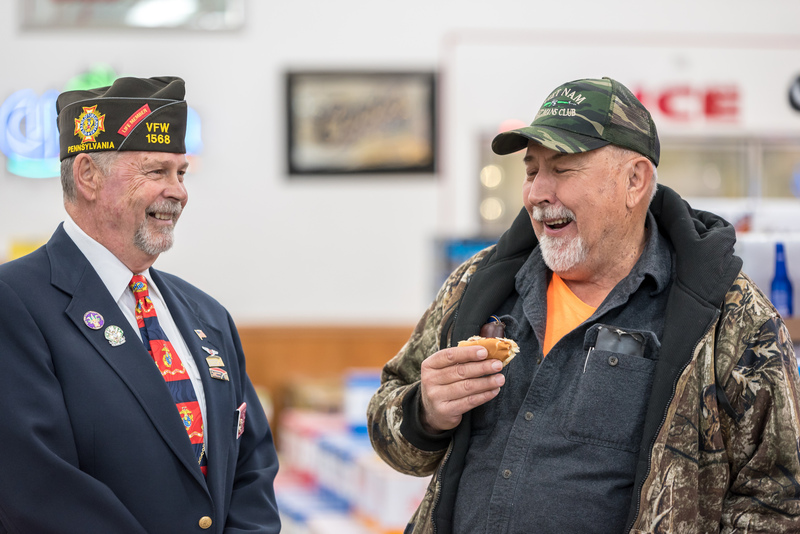 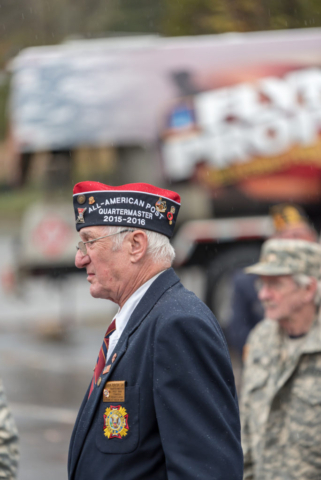 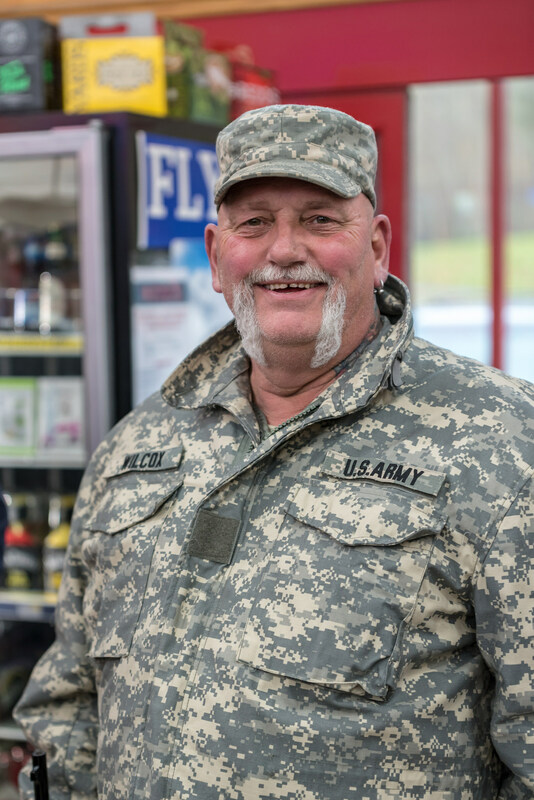 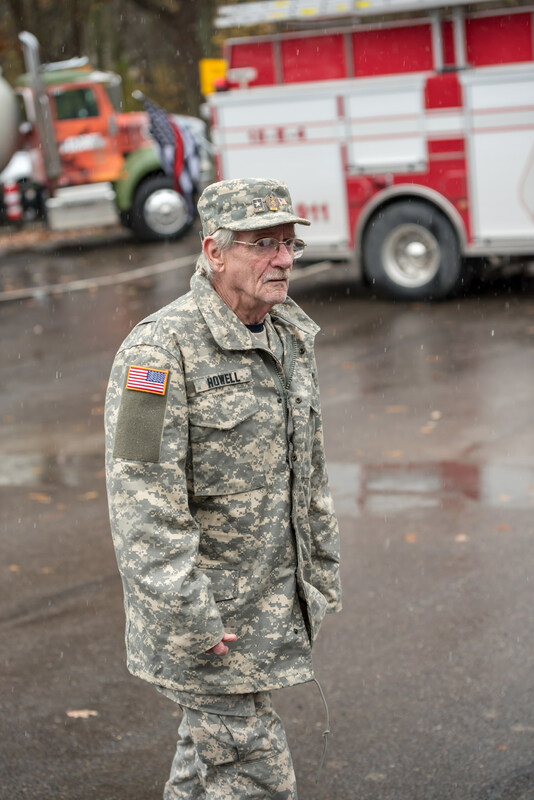 Flynn’s veterans event is the third of three annual events organized by the fuel company. 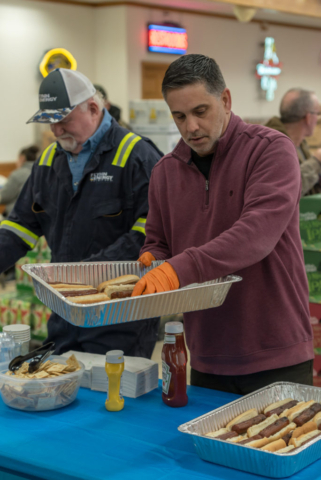 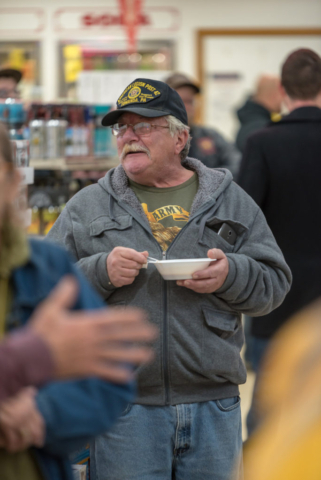 In April, hundreds gathered for the annual customer appreciation pancake breakfast. In June, hundreds more made their way to Towanda Country Club for Flynn’s annual charity golf tournament, raising more than $17,000 for a local in need. Over the years Flynn has raised over $125,000 for various charities and people in need. 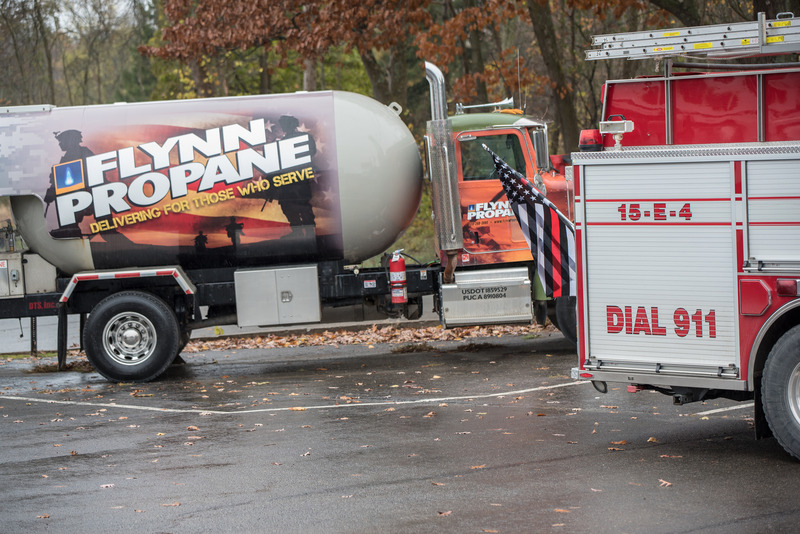 Flynn Energy & Propane is primarily a propane and heeating oil company in Towanda, PA. 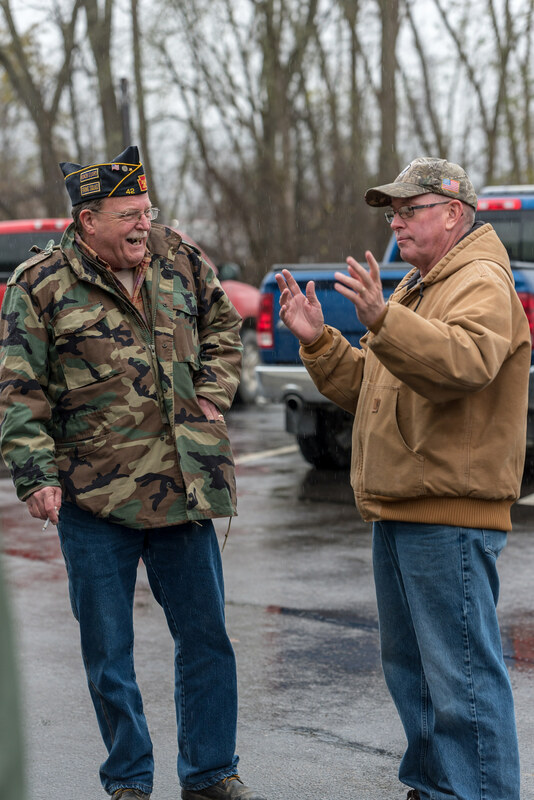 They serve Bradford County and surrounding areas. Visit them online at www.flynn-energy.com to learn more.